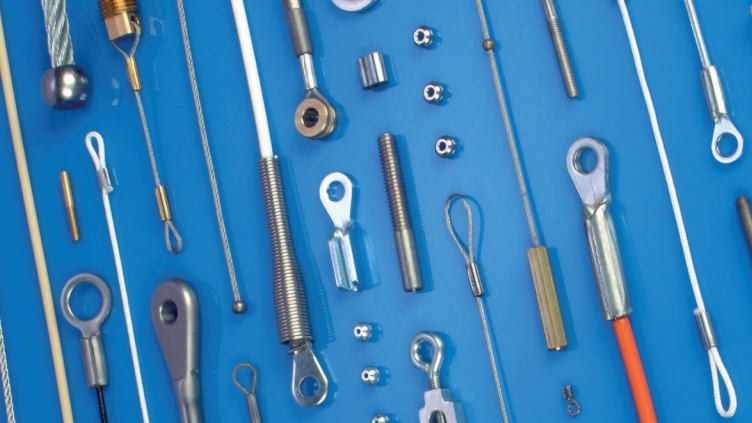 Wire Rope Cables and Fittings – Carl Stahl Sava Industries, Inc.
Because wire rope cable is so strong, it is perfect for lifting heavy materials or operating any equipment that uses pulleys to move anything from an elevator to a crane hook. Cranes have wire rope cable that extends along the length of the crane’s frame and then drops down. This cable can have all kinds of heavy objects attached to it; from wrecking balls to pallets full of bricks. The cable on a crane moves through a series of motorized pulleys that are controlled by the crane operator to raise and lower items. For safety reasons, a crane usually has several wire rope cables that are attached to the object being lifted. This helps to prevent putting too much strain on a single cable. To create wire rope cable, manufacturers begin with long strips of high tensile strength metal that are tightly woven together into strands. A large majority of wire rope cables are constructed using steel due to its durability and strength. Several strands are then spun and pressed tightly together into a helix using a machine. 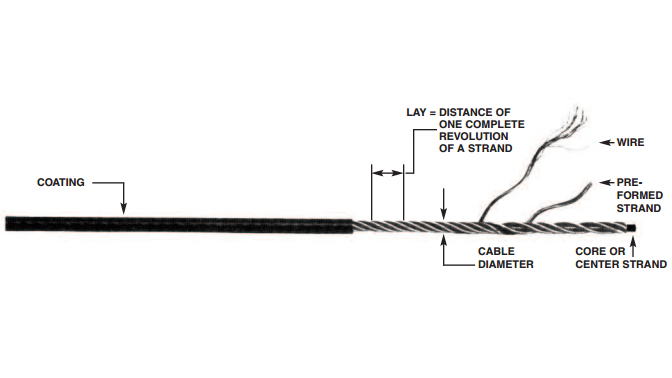 Wire Rope Cable Construction – Carl Stahl Sava Industries, Inc. The newly created wire rope cable is then rolled up onto a spool and shipped out, or it is rolled up onto a pulley to be used with a brand new piece of heavy equipment. Wire rope cable is generally at least 3/8 of an inch in diameter or larger once it has been twisted into a helix. Depending on their usage, wire rope cables fall into one of several categories. First, there are running ropes. Running ropes are bent over sheaves or drums, so most of the stress placed on them is the result of bending. Stationary ropes bear tensile forces and are loaded with fluctuating levels of stress. These are the types of cables that would be found on a suspension bridge. Track ropes are like the rollers of cabins or other loads on elevators or cranes. Finally, wire rope slings (also called stranded ropes) are used to harness all kinds of goods. These are bent over sharp edges of goods to hold them in place. Wire Rope Cable Wire rope cable is used in industries like mining, construction, oil & gas, and the military.